Gov. Greg Abbott and Democratic U.S. Senate candidate Beto O’Rourke will both campaign in the Rio Grande Valley on Thursday, now marking three high profile campaigns in the area this week with the election just days away. O’Rourke, the congressman from El Paso, has given U.S. Sen. Ted Cruz, R-TX, a formidable challenge in the junior senator’s first re-election bid, with O’Rourke fundraising more than $70 million, tripling Cruz’s total. But polls still have Cruz, who held rallies in Harlingen and Mission this week, ahead with a comfortable single-digit lead. Abbott, meanwhile, has hardly faced a challenge from his Democratic opponent, Lupe Valdez, the former Dallas County sheriff. Thursday’s campaign stops will mark double digit visits in the region for O’Rourke over the last two years. 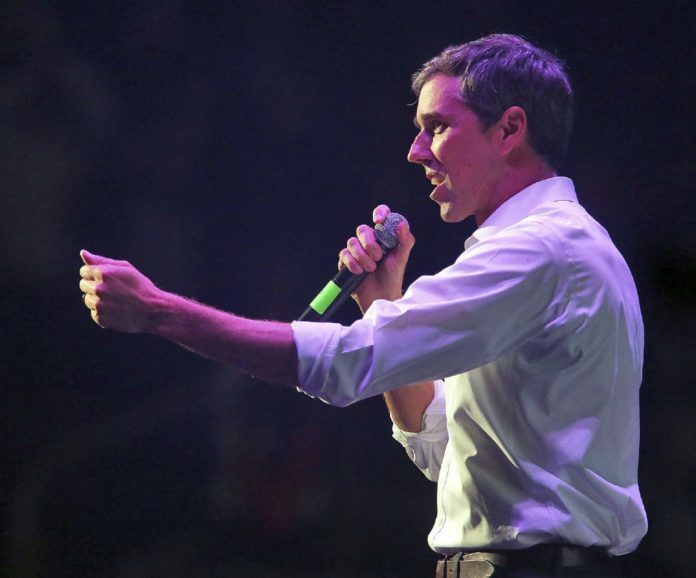 O’Rourke will be in Raymondville with U.S. Rep. Filemon Vela, D-Brownsville, earlier on Thursday and Brownsville in the afternoon. Thursday evening, Abbott will hold a campaign event in Harlingen alongside three local GOP candidates: Jaime Tijerina, running for Place 4 on the 13th Court of Appeals; Ernie Aliseda, running for chief justice of the 13th Court of Appeals; and Carlos H. Cascos, Abbott’s former secretary of state who’s running for Cameron County judge, a position he held from 2006 to 2015. Despite being in opposite parties and holding distinctly different views, political analysts have linked Abbott and O’Rourke throughout this election cycle. Polls and analysts have predicted the strong likelihood that Abbott wins his re-election by a significantly larger margin than Cruz will win his, which points to a sizable number of Abbott-O’Rourke voters. In an interview earlier this month, though, Cruz shrugged off any concern about a serious number of voters choosing Abbott for governor and O’Rourke for senate.